The potential for social transformation that takes place when an adult becomes literate is considerable. Literacy among adults allows parents an edge in communicating and passing on the value of literacy to their children. When parents cannot read, often their families are caught up in a generational cycle, not only of lack of education but also of illness and poverty. - Social discrimination and economic exploitation. - Occupation of girl child in domestic chores. - Low enrollment of girls in schools. - Low retention rate and high dropout rate. Considering the above mentioned factors , it is necessary to promote the participation of girls in school and break factors conducive to the high rate women illiteracy. The project financed by the Nando Peretti Foundation supports 50 girls from poor domestic backgrounds by providing scholarships and then enable them to attend school. The project will be covering educational expenses including uniforms, school fees, boarding fee and other educational and living expenses. 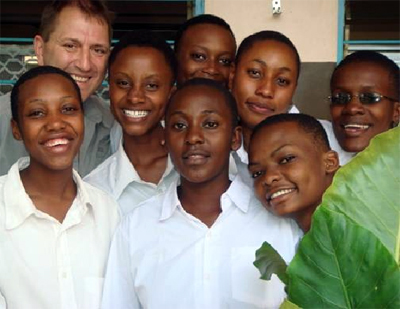 The scholarship will be provided in two secondary schools based in KIGOMA. Each year, the project will help 30 poor or vulnerable girls such as orphans, by providing access to education instead of looking baneful way for surviving which are riskily identified.